Tonight, Mid-Cheshire Camera Club are hosting the three-way inter-club team competition where we compete against two other local Camera Clubs. This evening our Tri-battle competitors are Northwich and Frodsham Camera Clubs. Both brought a good selection of their own supporters ensuring a full venue. 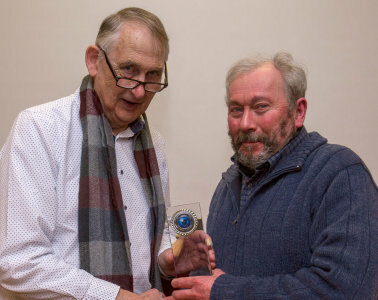 Tonight’s Judge has a long standing and fond relationship with Mid-Cheshire Camera Club (MCCC) having mentored a number of our members through the CPAGB awards procedure. 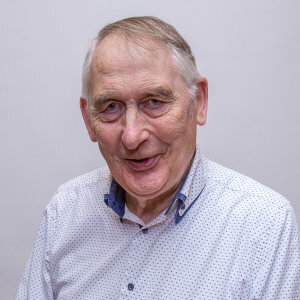 Gordon Jenkins (APAGB, PAGB) is the current Treasurer of Chorley Photographic Society, the President of the Photographic Alliance of Great Britain and still stands as an executive member of the Lancashire and Cheshire Photographic Union (L&CPU). He is a long-standing Judge from within the region being associated with Club Photography for many years. In the 80s, Gordon was Elected onto the Executive Committee of the Lancashire & Cheshire Photographic Union and immediately served as the Competition Secretary. He became Vice President in 1992 before talking the Presidents role in 1994, and then again in 2007. Over the years, Gordon has been one of the most popular of L&CPU judges. He is passionate about club photography, driven to help people, permanently enthusiastic and always chomping at the bit to get involved in new things . This is a competition of two halves. The first half is all about prints. The best 10 selections from each club are carefully scrutinised by Gordon. After a short tea break back to it with the Projected digital images (PDIs), against the best 10 offerings from each club. The Judge awards marks out of 20 for each image. Scores from all teams ready – leaving nothing to chance. One incorrect mark could mean a loss. That was not going to happen. Any images scoring 18 or above is held back by the Judge for a second viewing. This makes it excruciatingly exciting as Gordon starts scoring the images. By the time he had viewed the first five prints he has already started to hold images back. Members from all clubs are frantically trying to do the maths in their heads to see how their Club was faring. The Scorers working tirelessly conferring quietly with the colleagues ensuring all marks are correct. Gordon works quickly but methodically – he has a busy night in front of him but he does not miss the opportunity to educate the audience with advice and support to improve shape, form and composition. Before I knew it, it was half time. The tea makers jumped up and dived into the kitchen to pour hot tea and offer fresh Custard Cream biscuits. With a larger than usual audience, they too had their work cut out. The half time scores were announced. I could not believe it. We were leading. As I drank my hot tea and demolished a Custard Cream I studied the scores. Yes, we were leading but it was still very close. Any of the teams could take the lead in the second half. The audience, fed and watered, assembled themselves back in their seats. The lights went down and Gordon went back to work. Taking his time to view each image, he meticulousness critiqued every image explaining why he like it or why it just worked as a photograph. The standard was very high from all three clubs but as the last few PDIs were being reviewed by Gordon there was a flurry of points in favour of MCCC. Did we have it? Have we won? My head could not work out the points. I was too busy listening to Gordon whilst at the same time trying to keep track of which club had what scores to know for sure if we had won. Gordon had finished. I breathed a sigh of relief and nervous anticipation. Our Chairman – Ian Whiston formally thanked him and his hard work which was rewarded with a large round of applause. Then there was silence – the scores were finally tallied and read out. Well this was a fantastic evening. Yes, we had won the event but putting that aside, it was extremely close and the standard of the photography from all three clubs was excellent. Our thanks goes out to our Judge, Mr Gordon Jenkins, who made it an educational and exciting evening. The Tri Battle ended with the presentation of the Trophy to MCCC Chairman – Mr Ian Whiston.